The front-facing camera on the next year's iPhone could have more in common with its always-superior rear camera, as Apple is reportedly in talks with Sony about supplying the parts. The two companies are in negotiations so that the 2015 iPhone, presumably the iPhone 6S that follows the iPhone 6, switches to Sony's CMOS sensors for the secondary camera, reported Nikkei. Sony is expected to double its supply of camera components by next year, which means it could be handling manufacturing of both the front and back cameras on the new phone. Currently, the Japanese electronics giant is believed to be supplying nearly all of the camera sensors for the iPhone 5S, which is capable of 8-megapixels photos with 1.5µ pixels and 1080p HD video. Better selfies on the way? 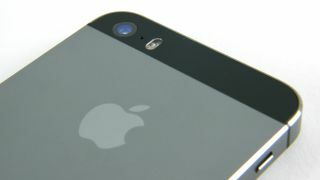 Apple is thought to be sourcing the front-facing camera parts from suppliers other than Sony for its iPhone 5S and iPhone 5C smartphones. This "FaceTime Camera" is capable of just 1.2-megapixel photos and 720p HD video recording. That's annoying for consumers because this screen-side camera is more convenient for selfies, but the more cumbersome rear-facing camera uses Sony's higher-end CMOS tech. Luckily, the increasingly mobile-friendly Sony is likely happy to supply image sensors. It's making money off of its camera phone technology - unlike its recently sold Vaio laptop line. Whether Sony plans to drastically improve the front-facing iPhone camera in addition to supplying the parts remains to be seen. But next year, the "FaceTime Camera" will be due for an upgrade anyway. Apple, Samsung smartphones could go bezel-free this year.